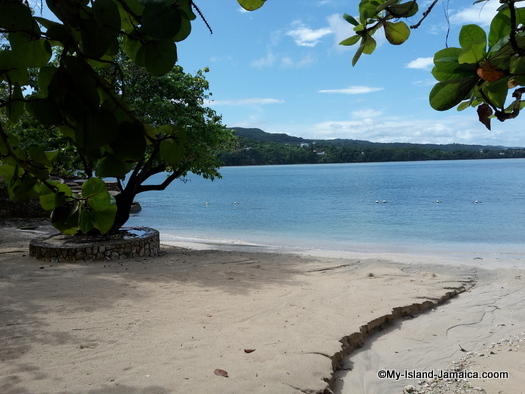 Think Jamaica - what comes to mind? 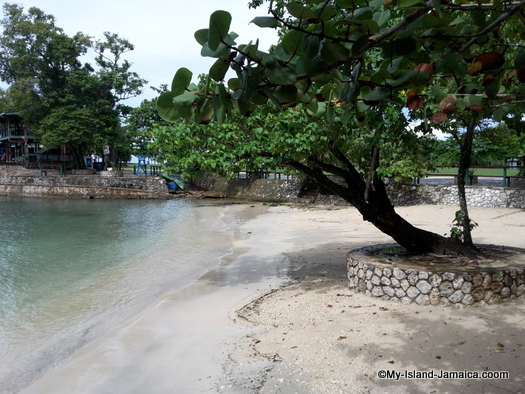 In a long list that probably includes athletics, reggae music, Blue Mountain Coffee, jerk, etc is also a sure constant - our beaches, right? And don't we have some little gems! 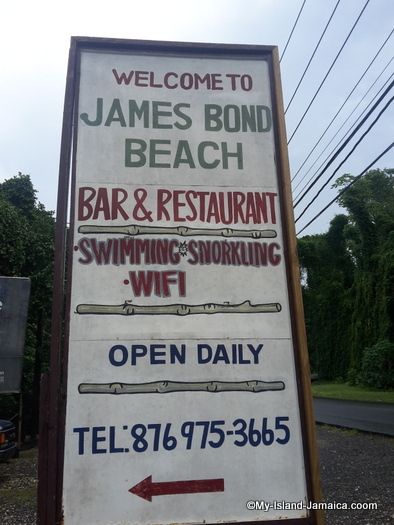 One such is the secluded, but public, James Bond Beach! 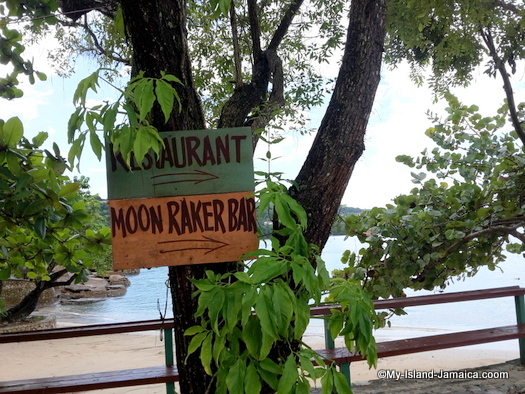 It was all of 11 years ago since I last went there! So thanks to Lindsey from the iconic TimeInc, I took an unplanned but very timely trek. Lindsey contacted me on my website and requested some pictures for an upcoming publication - Of course I agreed! 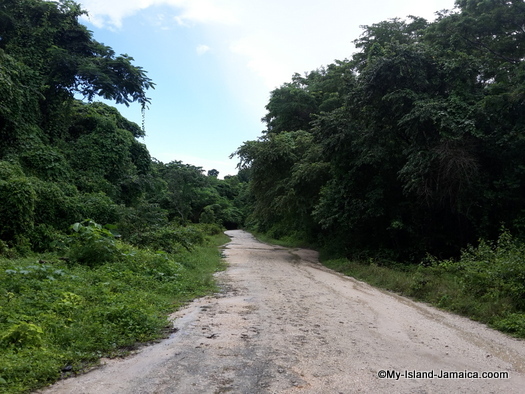 It was an overcast day (was a pretty rainy week here in Jamaica) but I believed that made it more convenient and fitting or me... much less traffic! Here are some of the pictures I took! 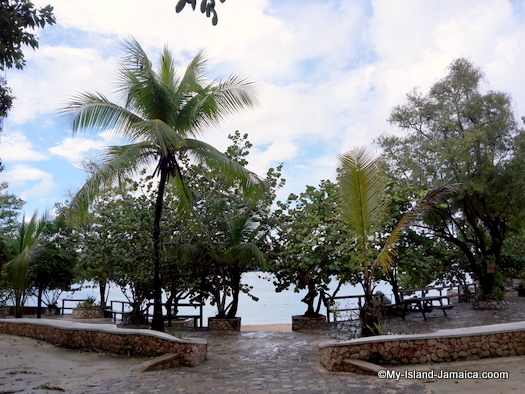 By the way, despite it's popularity, the beach still kept its tranquil, rustic, country feel. 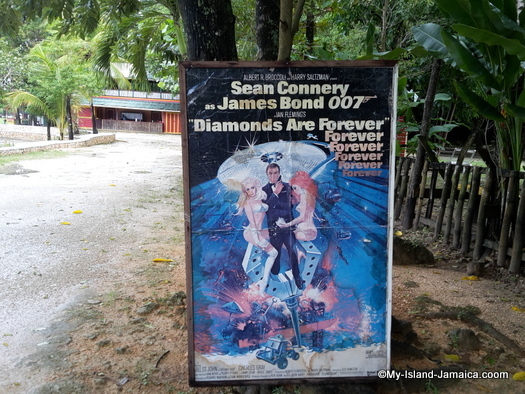 A few posters like this one attempts to show the James Bond connection. This is the main entrance gate. 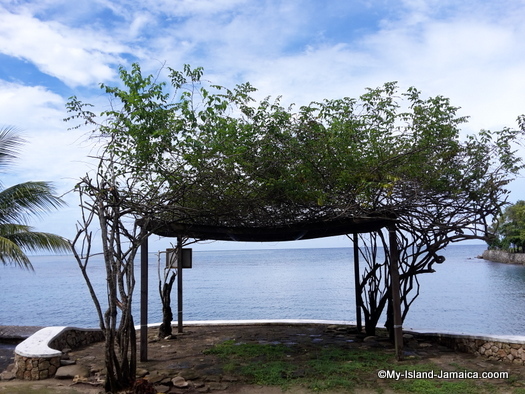 This is a home grown gazebo that is apparently used for weddings and other special occasions. I love nature! And this is one of its attraction for me! 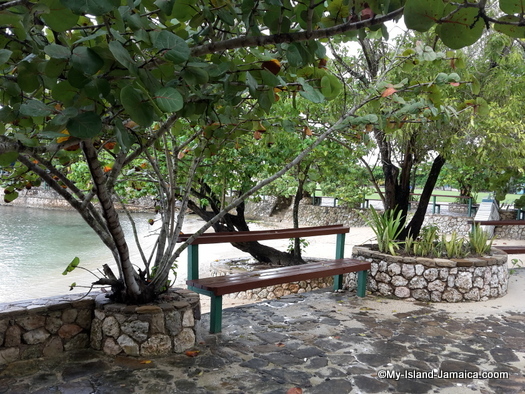 The journey, literally a beaten track to the beach, revealed a array of Jamaican best flora - and fauna; from the tall trees and shrubs (including poinsettia, banana and coconuts) to the melodious parrots and john chewitts in the tree tops. Have you heard all the talk about the health benefits of almonds? Well, hop over there are an array of trees here with lots of fruits, free for your consumption. 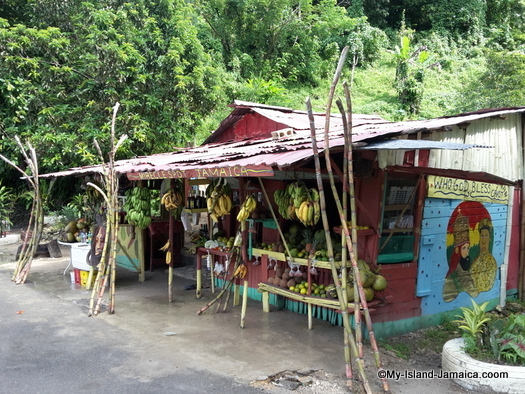 And finally, this fruit shop (below) is not really a part of the property, but adds nicely to our collection. Be sure to check them out... just across the main road. 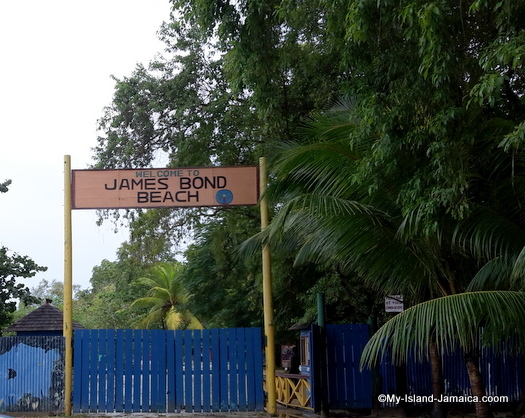 James Bond Beach is located in Oracabessa, St. Mary, just about sixteen (16) kilometers outside (easterly) of Ocho Rios. 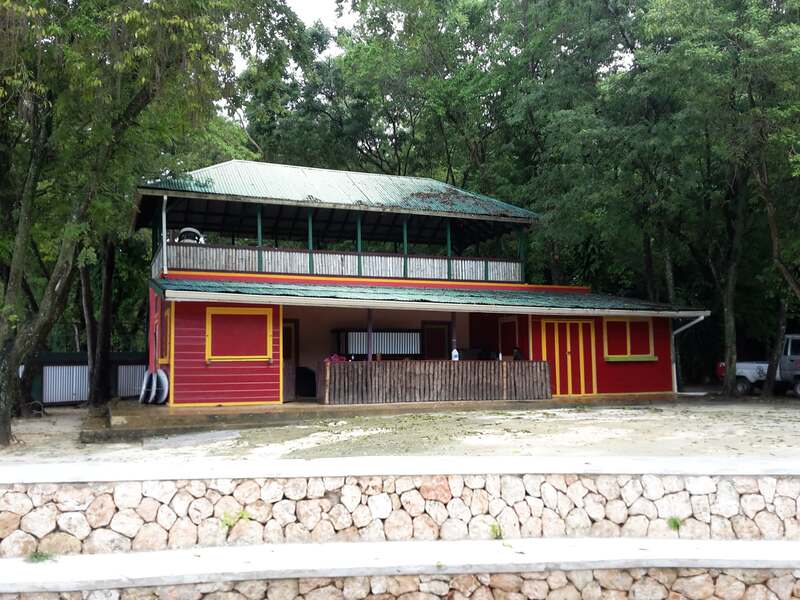 The beach sits on a scenic and secluded peninsula, a preferred spot for some of our top concerts that has featured some of Jamaica (and the world's) top artistes including Ziggy Marley, Lauryn Hill and Rihanna. 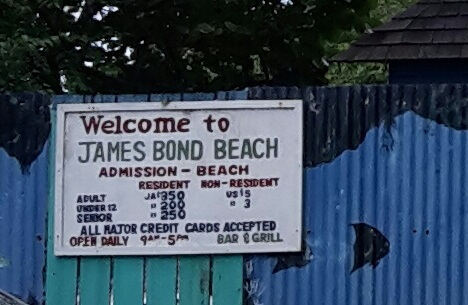 According to Wiki, scenes from the James Bond Movie, Dr. No, was filmed here. 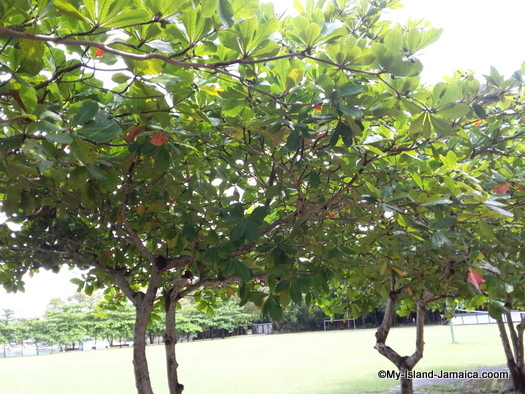 The large lawn, which is used for the concerts etc, is also able to host several sports, including football, volleyball, netball etc; perfect for groups looking to have some fun physical activity. I also noticed swings for children. 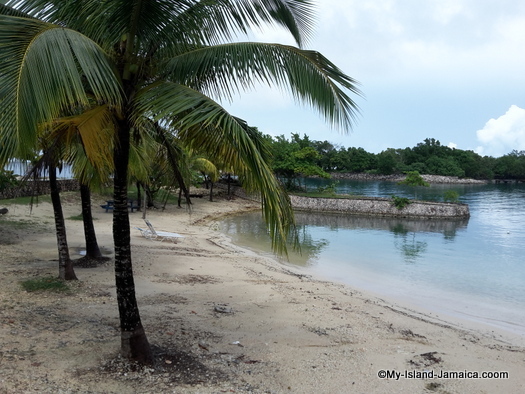 The 'other' side of the property is also open for beach bombers, it is apparently rarely used today. 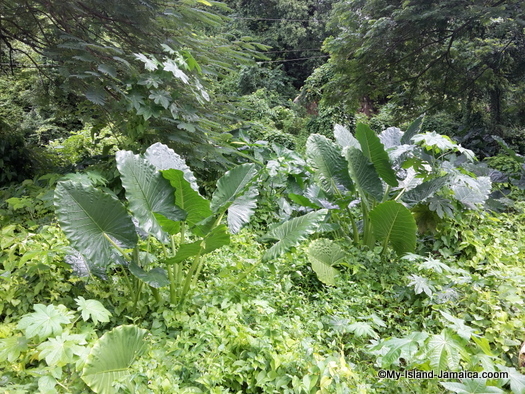 The property sits adjacent the luxurious Golden Eye and Golden Clouds estates. The boys from Gardner Land (nearby community) apparently comes over to play football in the mornings. It was fun watching them.